Toronto’s housing boom is unrelenting. 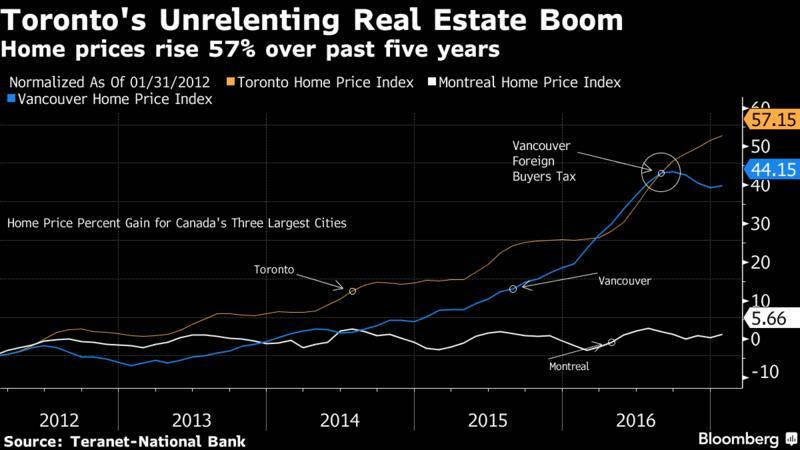 Prices in Canada’s largest city surged more than 20 percent over the past year, the fastest pace in three decades, data released last week show. Some of the city’s neighboring towns are posting even bigger gains. It’s become a matter of considerable alarm. Stability is one concern: if the market tumbles, so will Canada’s economy. Pricier real estate also drives away less-affluent, younger people and boosts the cost of doing business, eroding competitiveness. So, what’s driving the boom? The housing industry — builders and brokers — claim lack of supply is the main culprit. Others, Porter included, see demand as the problem. Lately, evidence is mounting that speculation is behind the jump. Builders say they are being held back by everything from regulations to prohibitive taxes and land restrictions. Ontario’s greenbelt region around Toronto is one example. This is no doubt true for one segment of the market: single-detached homes. Just over one-quarter of the 176,000 homes built in Toronto over the past five years were single-detached. That’s well down from the 1990s, when they accounted for almost half of all construction. Supply constraints don’t explain the price gains for condominiums, which have seen a flood of new completions. The average sale price of a condo is up 15 percent year-over-year. That’s after builders completed more than 54,000 apartment units over the past two years, easily a record supply for Toronto. Canada’s recent census results, released this month, also provide some evidence against the shortage argument. Occupied private dwellings have risen by 7.2 percent in Toronto over the past five years, faster than population growth. The census, however, doesn’t say what type of homes are being built. Plus, there is also the recent puzzle of disappearing listings. New listings in Toronto fell 17 percent in January from a month earlier, the biggest one-month decline since 2002. 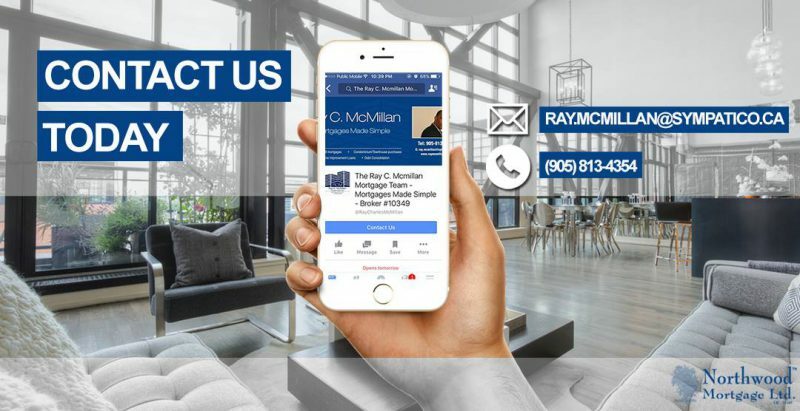 Sales as a share of new listings rose above 90 percent, smashing the record. Is this a sign of a bubble? Are sellers holding off putting their homes on the market to see where prices settle? Has supply become so tight that potential sellers are pulling out of the market altogether since they have nowhere to move to? “The market is thinning out basically, you know what that means,” said David Madani, an economist at Capital Economics in Toronto, said in a telephone interview. So, if home sellers are not driving demand, is it first-time home buyers? It’s tough to argue yes. The federal government has been tightening mortgage rules for a decade, and took some significant steps in October. But the moves — which particularly hit first-time buyers — have done little to curtail the recent run-up. 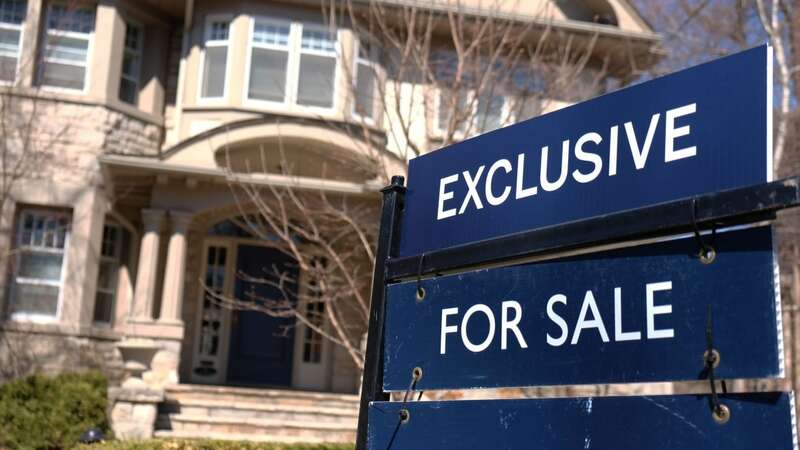 If speculators are the cause of Toronto’s stratospheric home-price gains, it makes it difficult for the federal government to intervene, since its primary tool is mortgage insurance rules that don’t apply as much to investors. One possibility may be to clamp down on the country’s unregulated private mortgage industry — so-called shadow banking. There may also be other avenues, such as curbing foreign investment. But Prime Minister Justin Trudeau’s government hasn’t shown much interest in such a move, partly because it would affect the national market, not just Toronto. In fact, the only place where government steps to rein in prices seems to have worked has been in British Columbia, which introduced a 15 percent tax on foreign buyers in August. Vancouver home prices are down 3.7 percent over the past six months. Still, that’s a paltry retreat in a market that long ago ceased to be affordable for most Canadians. The British Columbia experience shows that while stability of the market may be an achievable goal, affordability is a more daunting challenge. “If policy success is measured by affordability, not sure we’re quite there yet,” Hogue said.